Netflix’s production of “Daredevil’s” third season, based on the Marvel comics and created by showrunner Erik Oleson, is without a doubt the best Marvel television production yet. When the first season premiered on Netflix in 2015, viewers knew it was a game-changer for the standard superheros of the 21st century, and it is only getting better. “Daredevil” follows the 30-something blind and orphaned Matthew Murdock (played by Charlie Cox), a lawyer by day and Hell’s Kitchen’s guardian angel (AKA Daredevil) by night. Matt uses his enhanced senses and impeccable martial arts skills to deliver deserved justice to the criminals of Hell’s Kitchen. 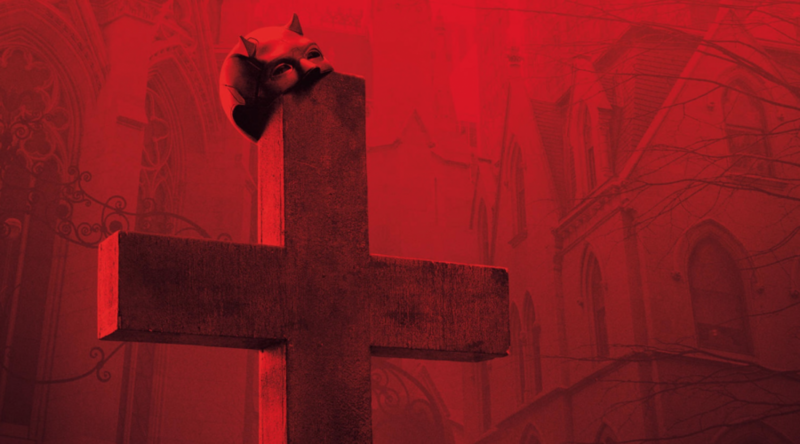 Ever since season one, Matt Murdock has been fighting tooth and nail to put Wilson Fisk (played by Vincent D’Onofrio) behind bars before he comes to rule the criminal underworld of New York City, and this narrative continues through the following seasons. Matt Murdock’s determination to serve justice to Wilson Fisk eventually comes between him and the people he cares about most, creating fascinating relationship dynamics between him and his friends in season three. The action scenes within the third season of “Daredevil” outdo the previous two seasons, due to the inclusion of the villain Bullseye-FBI Agent Ben “Dex” Poindexter (played by Wilson Bethel). Dex, a diagnosed psychopath, is recruited by Wilson Fisk to impersonate Daredevil in order to tempt the media of New York City to Wilson’s side by casting Daredevil in a poor light. What was really refreshing about this season was how Matt Murdock constantly struggles with his relationship with God. In the previous seasons he is portrayed as a devout Catholic, but in season three viewers have the privilege of watching as Matt wrestles with religion, feeling like God is indifferent to his suffering. Marvel’s “Daredevil” season three is overall an emotional redemption arc, with impeccable and diverse acting, a well-written script, and a plot line that will have you on the edge of your seat. If you have decided to watch this season of “Daredevil,” clear your schedule. You will not be able to let this story go until you have followed Matt Murdock to the very end.